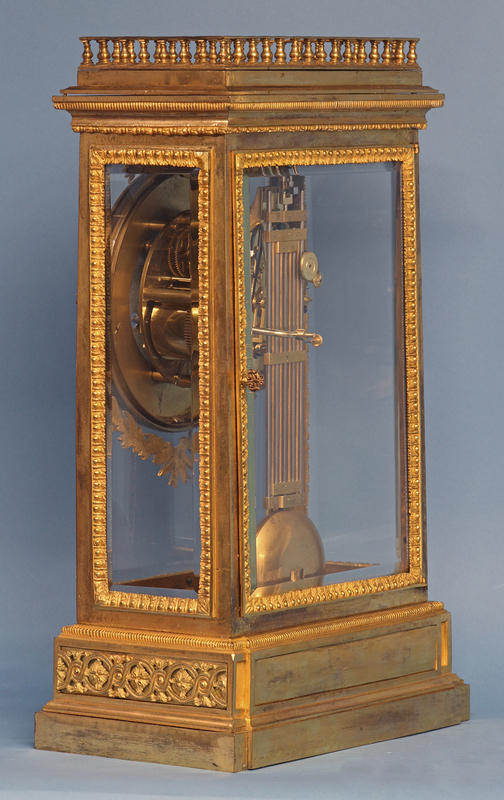 c.1830 French Ormolu Regulator Clock. 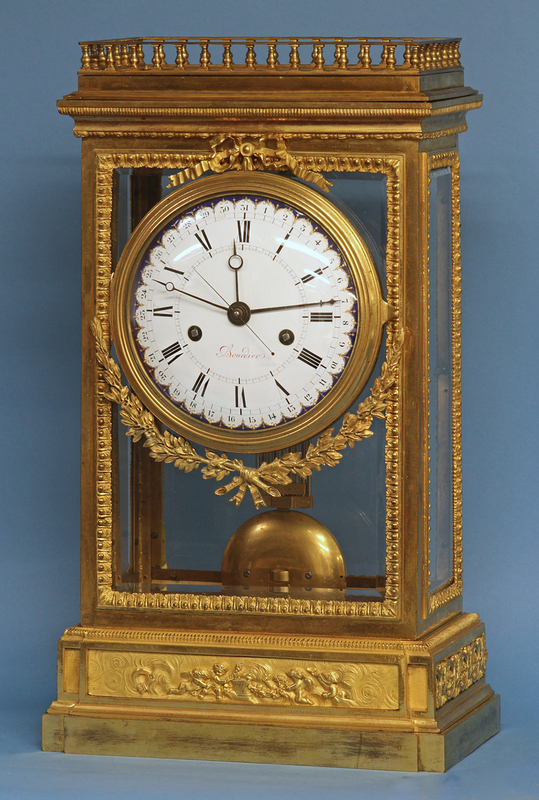 An early 19th century ‘Pendule Cage’ French ormolu regulator clock signed Bourdier on a wonderfully decorated dial. The large architectural ormolu glazed case has beveled glasses with decorative borders, floral appliques, a removable top surmounted with a balustrade and a finely finished frieze below. 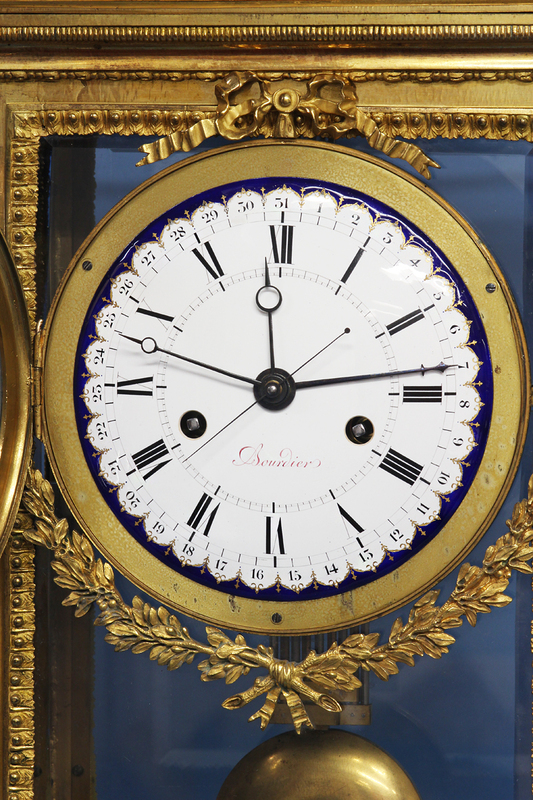 The superbly executed dial has a blue outside edge, black Roman numerals for the hours, a sweep second chapter with half-second marks and steel hand, a date ring with Arabic numbers bordered by raised decorative gilt-work, steel Breguet-style hands for the hours and minutes, a shaped steel hand for the date and is signed in red ‘Bourdier’. 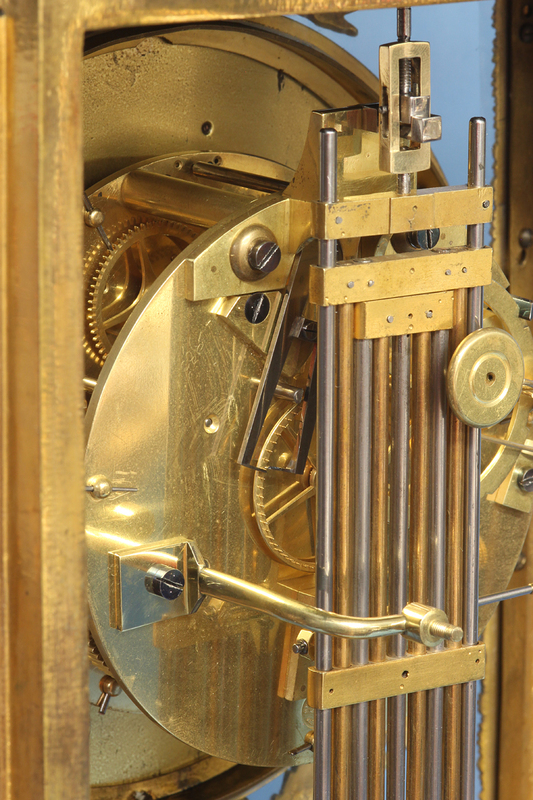 The eight-day time and strike movement has large circular plates, heavy pillars, countwheel striking on a bell, the pinwheel planted on the backplate and carries the ‘Pons’ stamp of 1827. 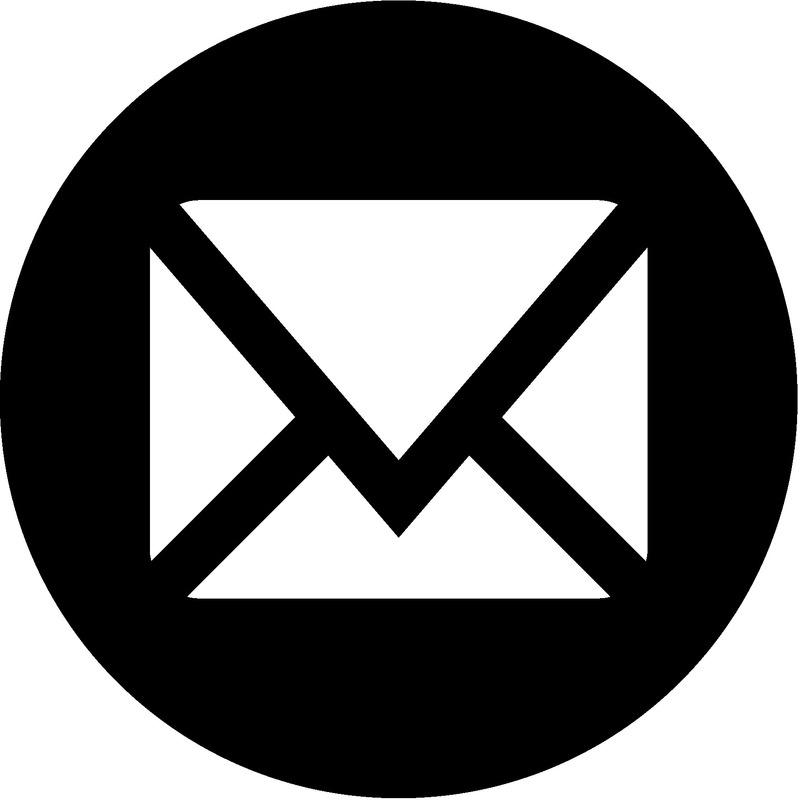 The large, heavy 1/2 second grid-iron pendulum is suspended by a knife-edge suspension and adjusted for fast/slow by a large knurled nut accessed from above. 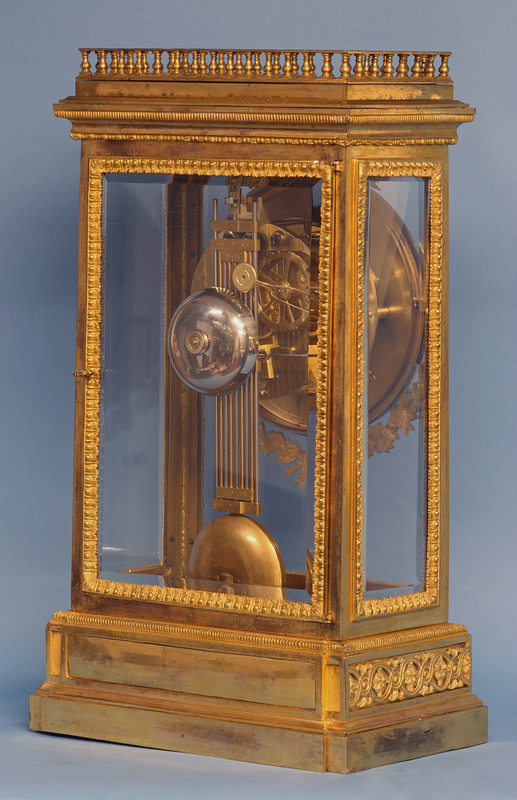 The ‘pendule cage’ style of case was first developed during the Louis XVI period and remained popular into the 19th century. Jean Simon Bourdier was at Rue Saint-Denis in 1830. 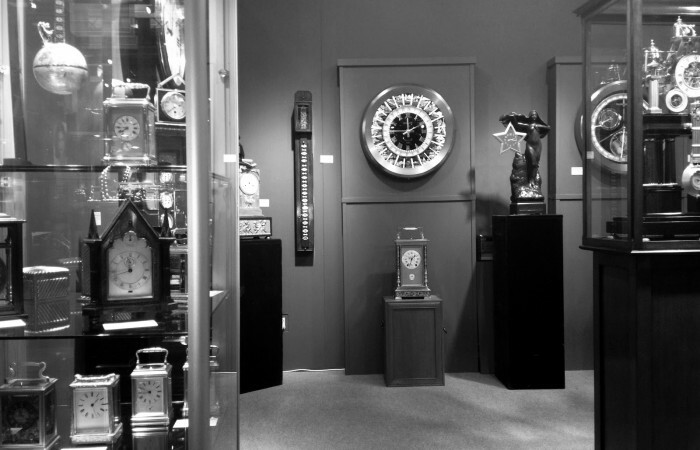 For some additional videos of our stock visit our You Tube page at sundialfarm.